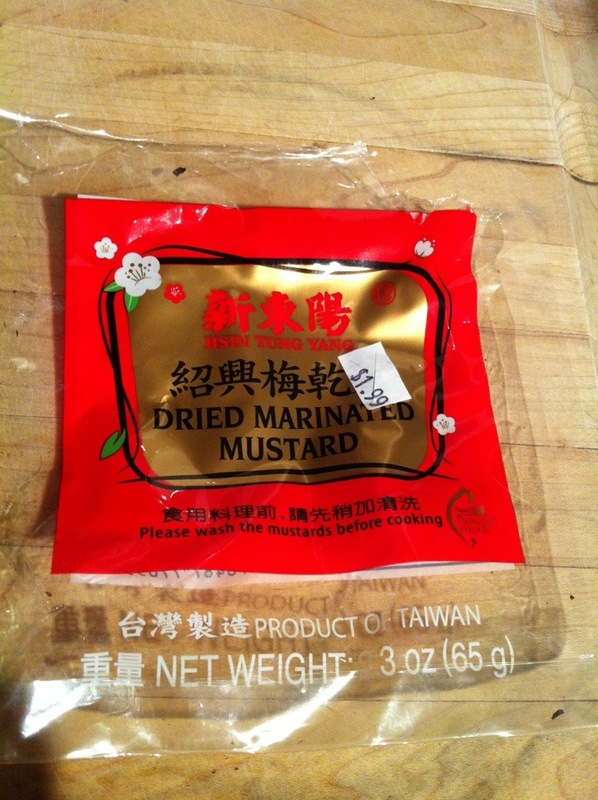 For me, mei cai kou rou is one of those Chinese dishes that I rarely indulge in but when I saw the dried package of mei cai (dried pickled mustard greens) at the local Asian store, I couldn’t help but pick it up along with a slab of pork belly for our dinner tonight. It was the hubby’s first time trying this dish and I was a little nervous what he would think of the black scary looking vegetables at the bottom of the plate. 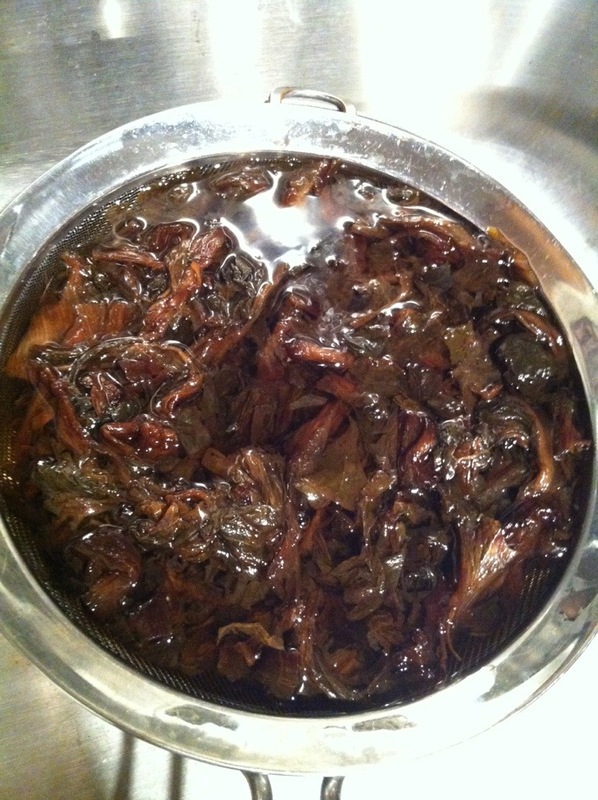 I guess if you’ve never tasted it, mei cai can look very unappealing. 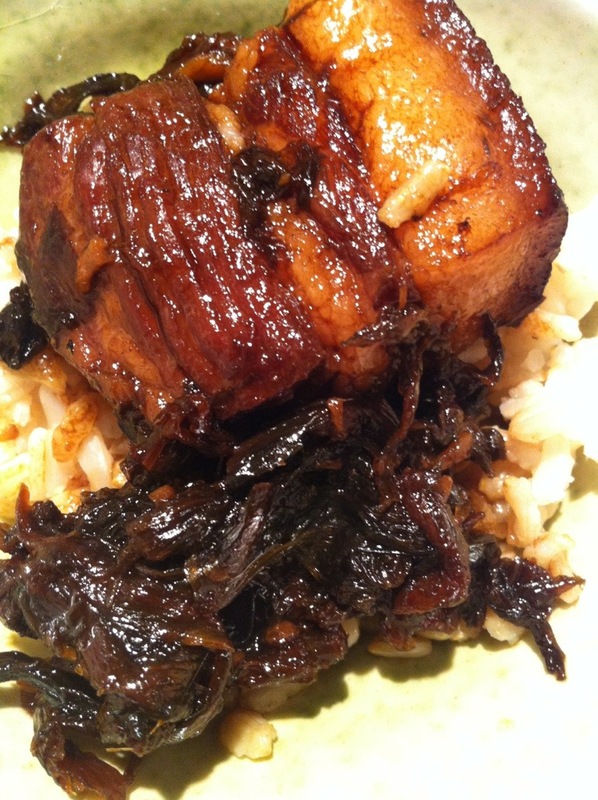 But I think it’s the perfect complement to savory pork belly. 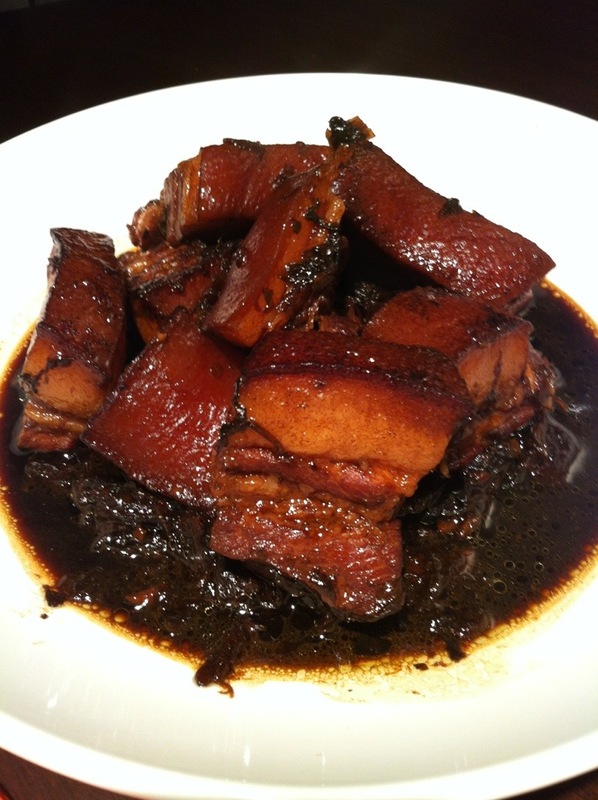 The pickled sweet taste of mei cai cuts through the rich fattiness of the pork. I used a Taiwan brand that is more on the sweeter side. Some of them can be really salty and you have to soak it for at least 3 hours, changing out the water as often as you can. I soaked mine for about 5 hours until all of the leaves softened up. There are tons of recipes for mei cai kou rou on the internet. The first recipe below calls for steaming (traditional way) and the second recipe calls for braising. My technique was a little hurried since it was already 7 pm after I finished work. The entire process took me around 1 hour instead of 2-3 hours. After a couple of minutes, tasted the braising liquid and adjusted with salt/sugar/extra water (I needed about 1 cup more sauce than what most recipes call for since I was using the pressure cooker). The liquid should be perfectly salty and sweet with a hint of sourness from the mei cai. Threw it all in a pressure cooker for 20 minutes on high. It helps to wash it down with a light broth. 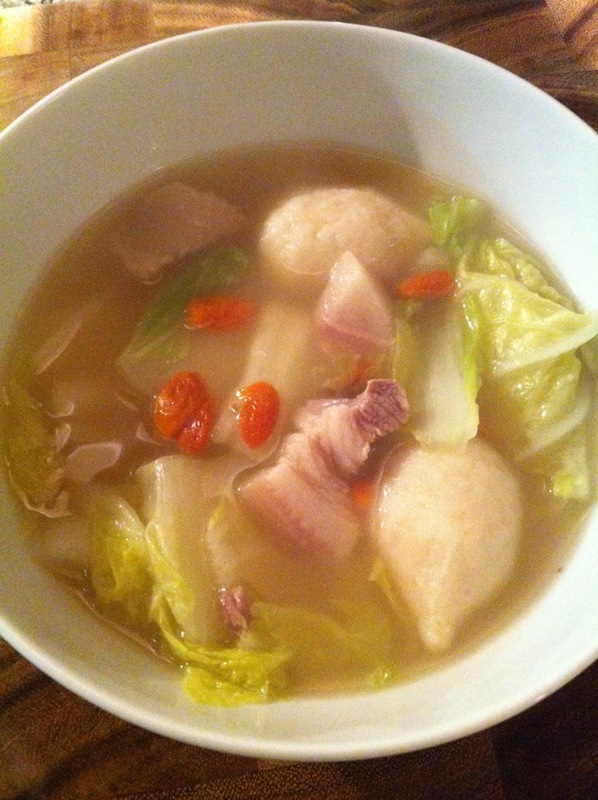 Tonight we had pork, fish ball and napa cabbage soup.